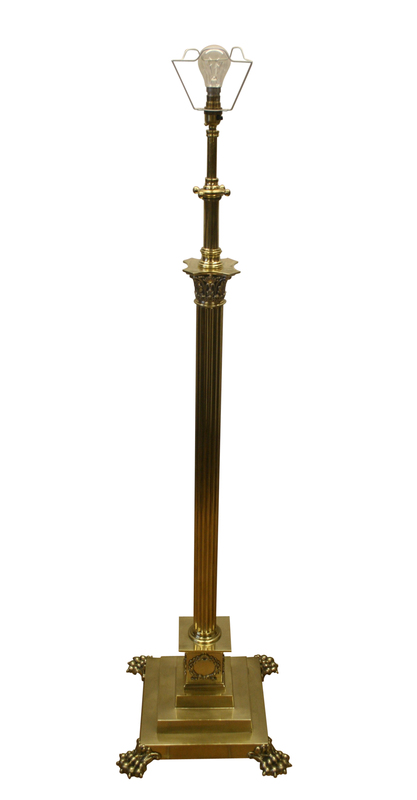 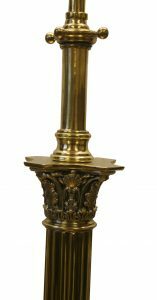 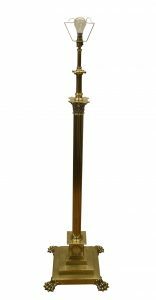 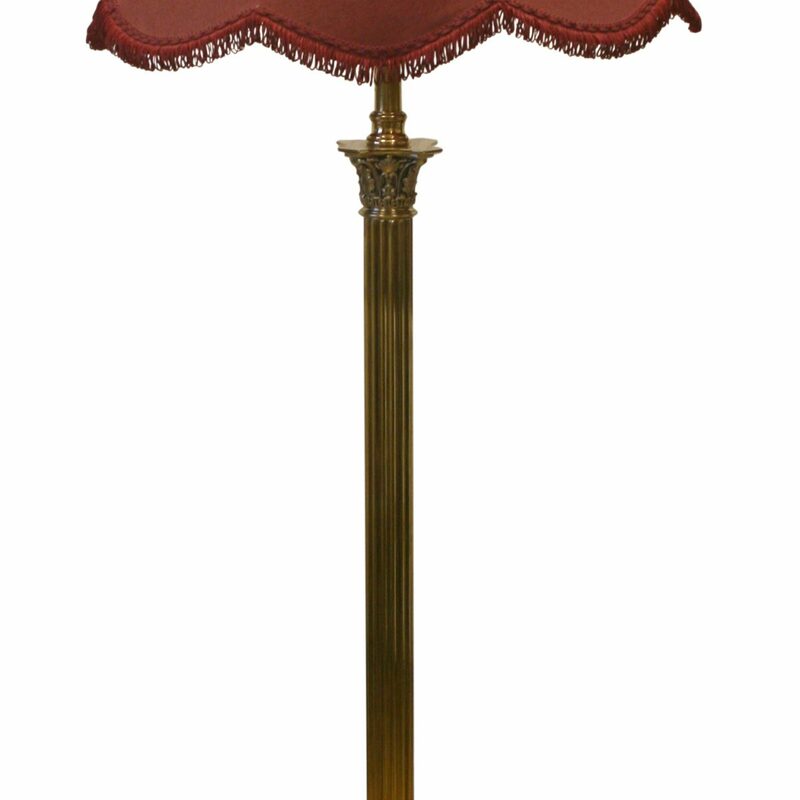 A brass Victorian standard lamp. 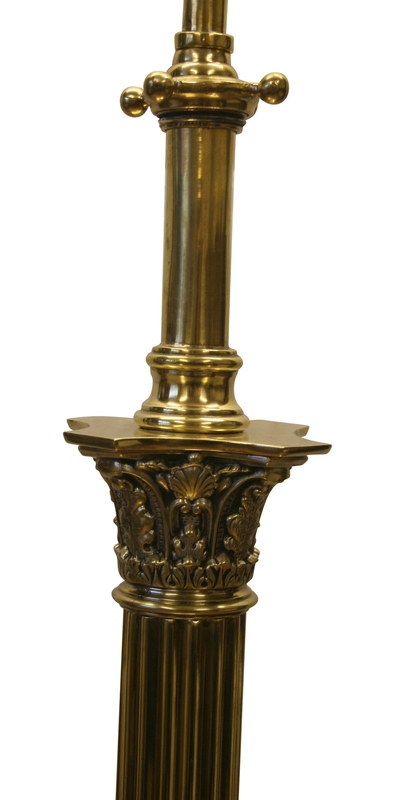 Above the Corinthian capital is a locking nut which allows you to adjust the height of the lamp. 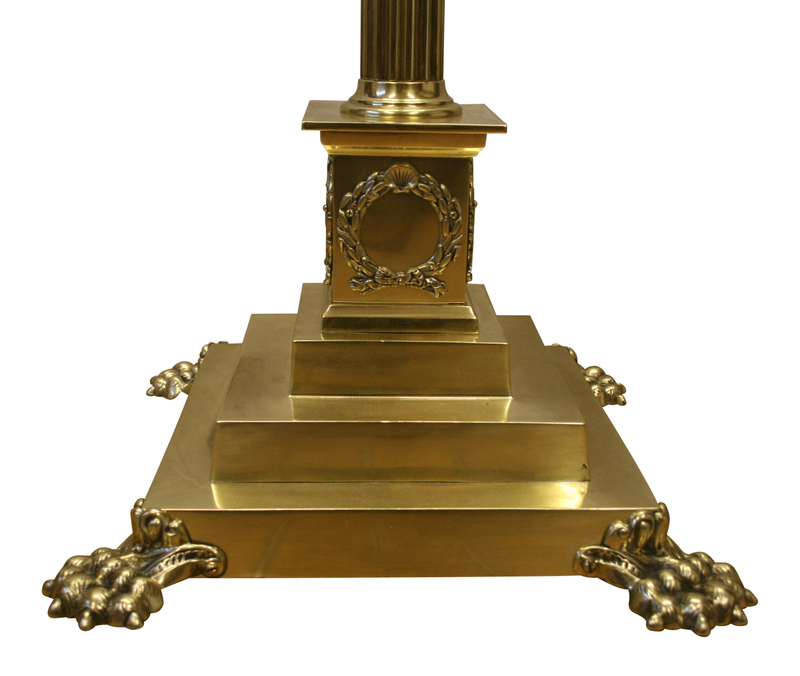 This is supported by a reeded column which is mounted in a square stepped plinth base and terminates in paw feet.